Vista Learning Center programs include a Google for Education partnership. This means students have access to engaging tools for students anytime, anywhere, on any device. Students are provided laptops or tablets to use while in class. We also have a fully-functional science lab, a rare asset for a school of our size. 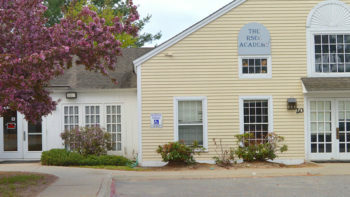 The Vista Learning Center programs provide small group academic instruction. We work closely with its sister-program at The RSEC Academy Middle School. Additionally, students are involved in small group adventure-based counseling and transitional activities weekly. Students work on improving self-esteem and strengthening social skills including communication, cooperation, problem solving, trust, leadership, and recreation. Rather than using the traditional “A” through “F” grading system, The Vista Learning Center educators base progress on a range of skills based on common core and grade levels. This allows us to more accurately explain individual strengths and challenges to parents in context, and is in accordance with current best practices in special education. Report and Story Form; Step Up to Writing; Framing Your Thoughts; Keys to Literacy; Visualize and Verbalize; Master Notebook System; test preparation; individual student accommodations. By using fun and engaging experiential activities, students observe models, practice new skills, and receive feedback in natural settings and across the curriculum. Teachers process social skills “in the moment” during the flow of a team challenge or conflict. Through adventure activities, day trips, overnights, and multi-day learning expeditions connected to the middle school curriculum, we build student self-confidence, connect learning, and develop leadership skills. By stepping out of their comfort zones, students learn perseverance, support, and growth. The foundation of Vista Learning Center programs is the belief that no two students learn or are developmentally alike. We must utilize a broad variety of best practices to identify the one that is most effective for each student. With this in mind, Vista Learning Center explores every opportunity to capitalize on each student’s abilities and interests. This approach requires a continuum of services as well as a range of environments that gradually transition from the most restrictive to a more traditional classroom setting. Opportunities for students to experience a sense of belonging to a larger community are embedded in community outreach programs. Ultimately, students need to expand their learning beyond the walls of Vista Learning Center. Extending learning opportunities within the local community will provide experiences for students to generalize their social thinking learning while promoting citizenship. A strong commitment to staff training and development serves to ensure personalized learning for each student. Student misbehavior typically represents his/her response to a problem. It is important that intervening adults allocate time to identify what problem the student is trying to solve before the adult generates a response to the behavior. Lagging social thinking skills and ineffective coping mechanisms typically influences student behavior. A behavior response must include an opportunity for the students to learn and practice new solutions to the problem. Each student is an integral component in the planning and assessment of their learning program. The first step in gaining the cooperation of a student is to identify where he/she is successful and continue to build from where they are. This will build a student’s confidence and skills, which becomes a catalyst for continued learning. The blending of skills and confidence provide an opportunity for a successful re-entry into the public school system. The core tenet of Vista Learning Center is a sense of community belonging. Increased academic knowledge combined with emerging social thinking skills essential to navigating the ever-present demands of life must be accomplished through a collaborative effort by parents, school, and related service providers. This protective village contributes to the development of a truly individualized education and life plan for each student.